A clean, green laundry routine is a critical component to achieving a chemical free home. After switching to a natural deodorant I would say it is the second most important purchasing change you can make to reduce your toxic burden. Think about it, you and your family wear clothes all day and all night (for the most part…). 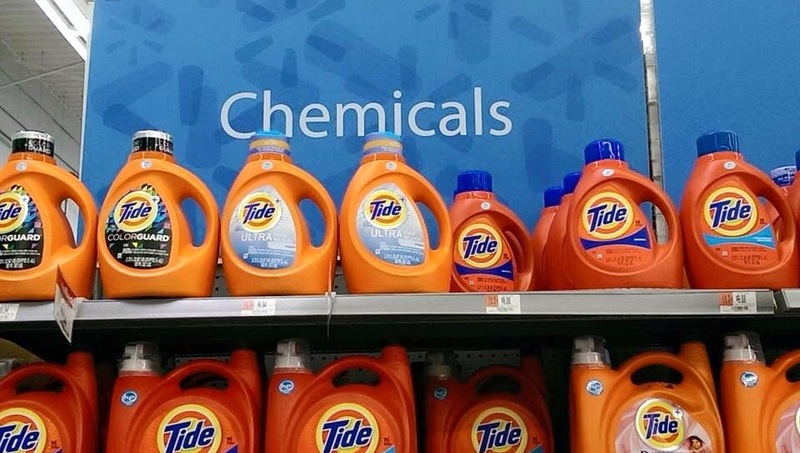 Toxic chemicals in your detergent, fabric softener and dryer sheets are being inhaled and absorbed by your skin 24-7. YUCK. I have tried Charlie's Soap, Molly's Suds and Mama's Suds and they all work pretty much the same in my opinion. They get your clothes nice and clean but do not do much to remove stains or brighten. Our whites are no longer super white and I'm okay with that because its a safer for my family. 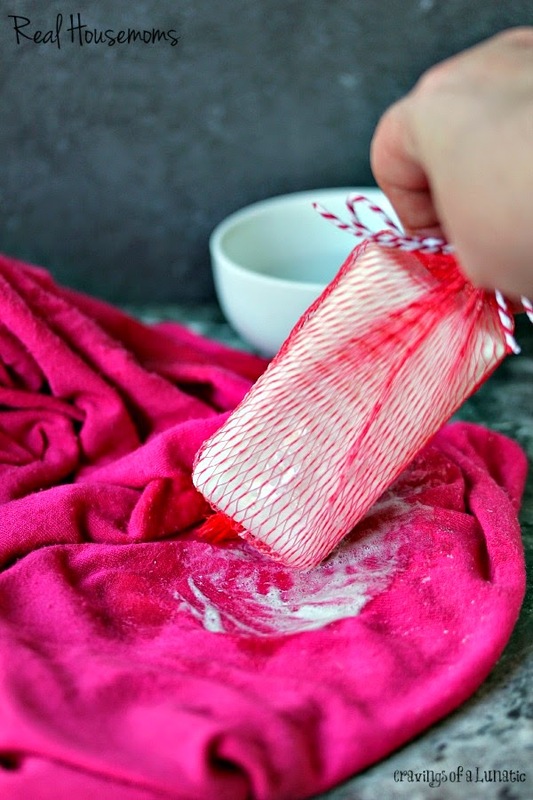 Molly's Suds makes a whitener that I've been wanting to try out and I have great stain solutions written below. 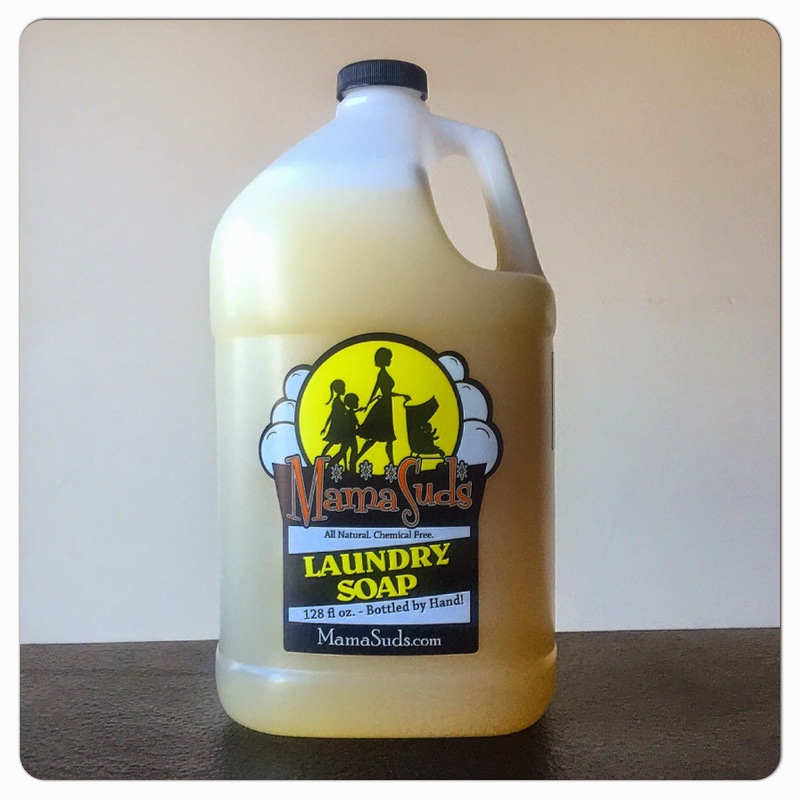 I purchase these brands online and am a new fan of Mama's Suds since I like supporting small Mom & Pop businesses. You can select your scent (lavender, lemon, tea tree to name a few) or customize your own! A product I'm very curious about and have never tried is Eco Nuts Organic Laundry Detergent. They are highly recommended for anyone with sensitive skin issues and are super cheap. People rave about how clean, soft and fluffy they get clothes. Weird, yes which means I'd probably love them! 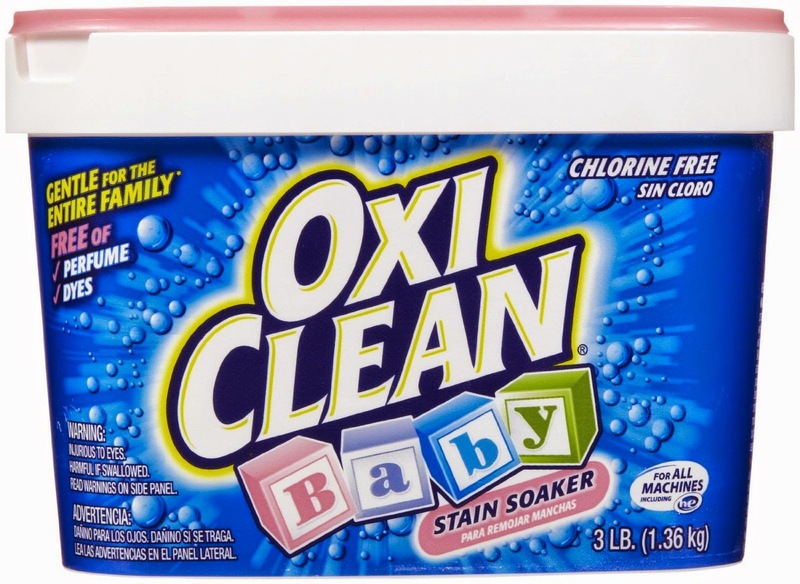 Thank goodness Oxi-Clean makes a clean, green product that is safe and WORKS!!! Their Baby Stain Soaker scores an "A" on Environmental Working Groups evaluation - HALLELUJAH!! Now its ONLY the stain soaker powder, NOT the stain remover spray that is safe - the spray scored a "C". With a newborn, toddler and cat that likes to throw up in defiance I use this stuff all the time. I found that soaking for 24 hours does the trick and I keep a big bucket in my laundry room for this sole purpose. I buy mine at Target in the baby section. For simple instructions visit Real Housemoms blog - this works like a dream! I use the mesh bag from the Trader Joe's lemons (garlic, shallots also work!) and Dr. Bonner's unscented castile soap. Once you stop using fabric softener you realize that "softness" is actually subtle greasiness. 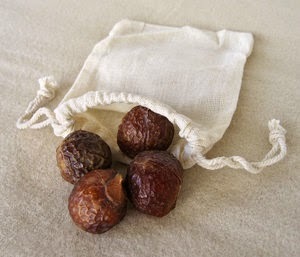 Now I add good ole' white vinegar for all my regular laundry and love, love, love the way it makes my clothes feel. 1/3 cup is all you need and it also helps deodorize your load. Just put it into the softener dispenser or you can pour it into your old Downy ball. 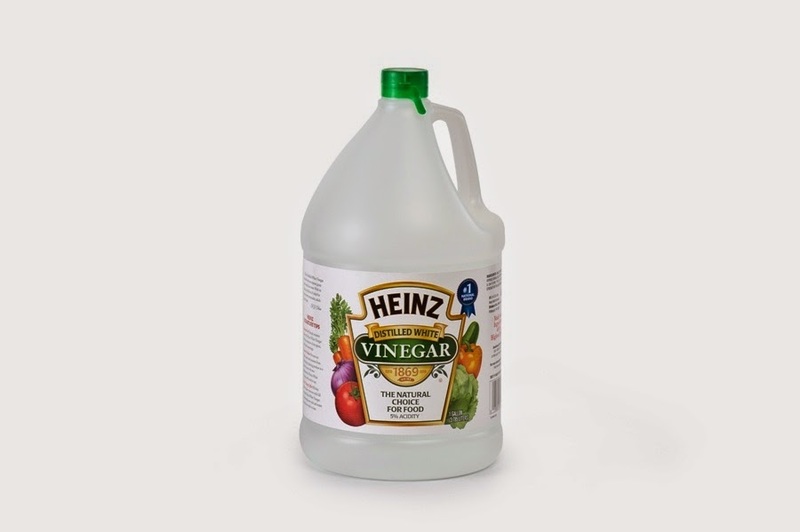 I buy my white vinegar at Costco for $2.99 for 1.35 gallons! I go thru this huge size every month - a staple in our household. In our quest to smell clean, we have turned to a thin, synthetic sheet LOADED with nothing but chemicals. According to Dr. Jack Wolfson, an Integrative Cardiologist, the chemicals in dryer sheets likely increase the risk of heart disease, brain disorders like dementia and Parkinson's, and cancer. He claims that dryer sheets are worse than eating conventional produce sprayed with pesticides - who would have thought?! 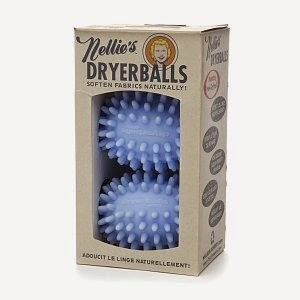 Its amazing how my laundry smell preferences have shifted since changing to natural products. I loved the scent of dryer sheets, especially Bounce. It made me smile when I would be out walking in my neighborhood and would smell laundry coming from a house's dryer exhaust pipes- so fresh and clean (I now know this is a form of environmental pollution). Now it just smells fake and artificial - just like walking into a Hallmark store that bombards your nasal passages with offensive Yankee Candles. Can also be used for back rubs! 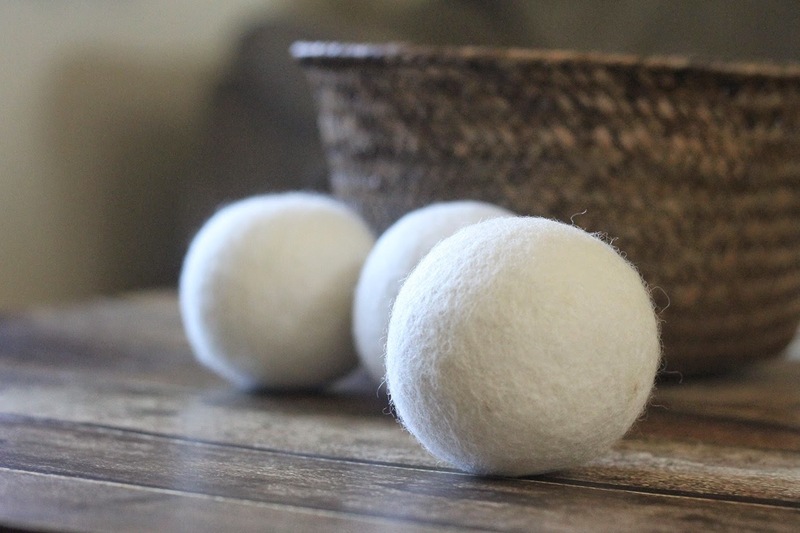 Smart Sheep 100% Wool Dryer Balls - you can find similar balls from Etsy, Molly's Suds and Mama's Suds. I have read your blog very attentively. You have share many important tips for laundry detergent.I’m really appreciate thanks for your sharing !!!! !